When you are growing tomatoes, due to several factors, you will notice that sometimes, they get blossom-end rot. You will find in this article the factors and how this issue presents in tomatoes. More importantly, you will learn a few tips and tricks for you to control and prevent this so your tomatoes can grow healthy and nutritious. 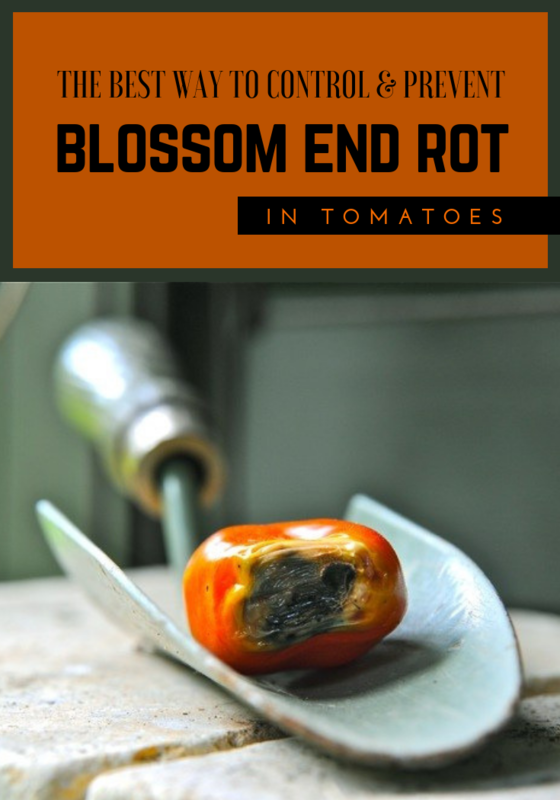 Keep reading and find out the best way to control and prevent blossom-end rot in tomatoes. First of all, you will recognize this problem by checking the blossom end of tomatoes for a water-soaked spot. This is the classic sign of blossom-end rot. Thus, don’t worry! It is completely avoidable and you can treat it fairly easily. Now, the main reason for this problem in your tomatoes is the calcium imbalance within the plant. However, even th tomatoes are the most susceptible to this, it can also appear on cucumbers, peppers, squash or melons. Thus, be on the lookout and check your vegetables on their growing process. The blossom-end rot will mostly show up in the early stages of the growing season. It will damage your vegetables when these are approximately half their full size. Then, the affected area will grow bigger and it will turn dark and begin to rot. This is when you should pick and discard the vegetables. – and your soil might have high contents of salts. 1. First of all, you should prevent calcium deficiency. For this, you could use the natural sources of calcium that crushed eggshells have. All you have to do is mix the crushed eggshells directly into the soil to about 6 or 7 inches deep. Make sure to do this before you plant your tomatoes. Also, if you already did, add the eggshells to the soil around your tomato plants. That’s how you can maintain their calcium level steady during their growth. 2. If you face cold climates, make sure you always warm up the soil before you plant your tomatoes. If you plant the vegetables in cold soil, it might limit the nutrient uptake which leads to unbalanced growth. For this, you should apply a mulch to hold the heat and moisture in the soil. The best mulch you can do at home is using wheat or pine straw. 3. You will also need fertilizers that are low in nitrogen and high in phosphorus. For lower amounts of nitrogen, you should choose straw and sawdust to make a compost, these two ingredients won’t release too much nitrogen for your plants. Furthermore, a good fertilizer high in phosphorus would be chicken manure. 4. Another important trick is getting the water into the roots. For this, you could use watering cones to help the water get deeper into the soil.